Diode Out of specification Replace. 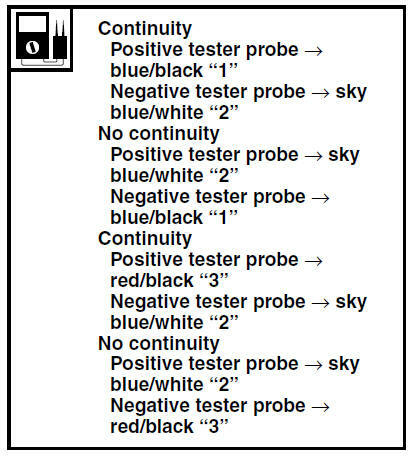 The pocket tester or the analog pocket tester readings are shown in the following table. a. Disconnect the diode from the wire harness. 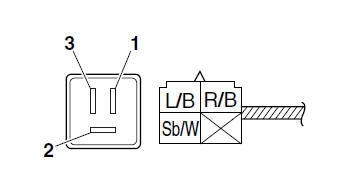 to the diode terminals as shown. c. Check the diode for continuity. d. Check the diode for no continuity.